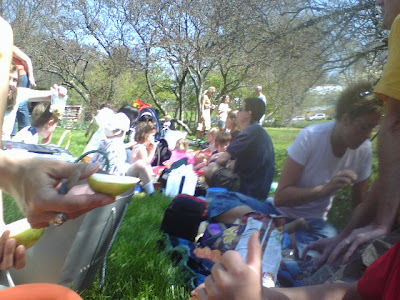 Above is a funky cell phone picture of the Mt Adams Moms egg hunt gathering. Us downtowners keep angling in on their activities. Anyway, it was lots of fun, thanks for having us.